Taking care of your roof is an essential for your roof to last long. In the previous installment of this blog series, we talked about two of the most popular roofing materials, asphalt shingles and concrete tiles. In this entry, we focus on how you can take care of them. There are many roofers in Northwest Indiana and most will say that they’re the best in what they do. Unfortunately, some are content with sub-par work. Keep in mind that poor installation can result in many roofing problems down the road. When it comes to roofing issues, leaks are perhaps the most common. Especially if your roof isn’t maintained properly, you’re going to have to deal with leaking and moisture problems all over your home. If you notice any sign of moisture, such as water streaks on walls and ceilings, chances are you have a leak. You will then have to locate where the leak is coming from before it can cause further damage. The weather can damage your roof. Especially during storms, the combination of wind and rain can take their toll on your roofing. This is when blow-offs, tenting, and billowing usually happen; if left unchecked, these can cause numerous problems in your home. That’s why after heavy rains, make sure to check your roof for signs of damage. These problems can occur on any type of roofing. If you’re not careful, these could result in significant damage to your home. 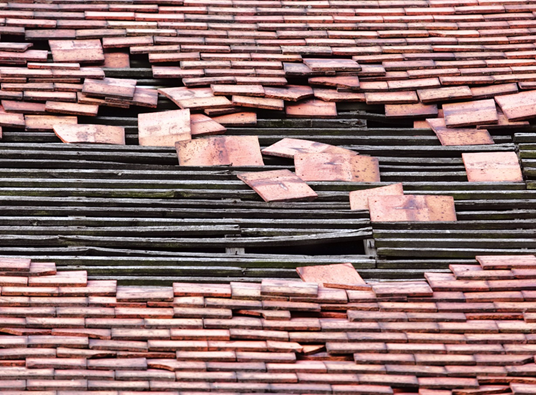 At the first sign of trouble, contact Rogers Roofing to take care of it for you. We are one of the most trusted roofers in Northwest Indiana and Illinois. For more than 40 years, we are the company most homeowners call to fix their roofing problems and. We provide a range of roofing systems, and we provide storm damage services. Know more about our products and services by browsing through this website or you can just simply give us a call. For all your roofing problems, choose Rogers Roofing! In case you missed it, check the first part of this blog series to know more about the different roofing materials we provide.